The companies listed below have been granted Fit For Nuclear status by the Nuclear AMRC. They have benchmarked their performance against the standards demanded by the nuclear industry’s top tiers, and driven business improvements through a tailored action plan. For a fully-searchable database of F4N-granted companies, go to the new F4N Connect portal. You can also click the Connect links in the listings below to go straight to that company’s detailed profile. Please note that some granted companies have not yet completed their full profile. Allied UK is a leading manufacturer and supplier of linepipe, fittings and flanges to the nuclear industry. It has current experience with UK nuclear plants and, through its parent company, can supply to RCC-M code. Altec Engineering Group provides a comprehensive range of complementary services including medium to high complexity CNC machining and special purpose equipment tailored to meet customers’ individual requirements. Machining covers aluminium to exotic materials, using three, four and five-axis technology. 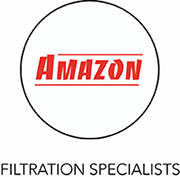 Amazon Filters designs and manufactures an extensive range of liquid filtration systems, for applications including nuclear operations. Ansaldo Nuclear Ltd specialises in the design, manufacture, assembly, test, installation and commissioning of customised solutions for the nuclear decommissioning, defence, and nuclear new build markets. Beran Instruments specialises in vibration and condition monitoring systems for all rotating plant, and can supply support for electronic systems and software development. Connect. Cambridge Precision offers precision machining of low to medium volume, prismatic and turned components from a variety of materials, and provides value engineering solutions. CE Turner specialises in design for manufacture and build to print of precision components, laser profiles, precision fabrications and complex assemblies in various exotic and standard metal types. Centronic is a leading manufacturer of radiation detectors, providing design, prototype and full in-house manufacturing and testing. Fairford Electronics is an innovator, designer and manufacturer of soft starters and energy-saving motor control equipment. Download the case study. Fine Tubes manufactures high specification tubing in stainless steel, nickel, titanium and zirconium alloys for a range of industries. Nuclear applications include fuel and control rods, fuel assembly grid wear sleeve tubing, instrumentation and heat exchanger tubing. Fort Vale Nuclear offers a wide range of mechanical engineering solutions, from initial concept and design through to manufacture and testing. Download the case study. Fugro GeoServices provides services in nearshore and offshore geotechnical, marine installation, onshore drilling, cone penetration testing, geophysics, and instrumentation and monitoring. GFSA specialises in the design and manufacture of customised, high integrity filters, strainers and flame arresters in carbon steel, stainless steel, duplex, titanium and many other exotic alloys, supplying the oil & gas, petrochemical, power generation, water and process industries worldwide. Goodwin International offers high value engineering through innovation and collaboration, providing design for excellence to reduce project costs and risks. G R Carr (ECITB SME of the year 2018) has provided mechanical engineering services, fabrication and installation of pipework, steelwork and specialist welding to refineries, oil storage facilities and utilities for 50 years from its 4.5 acre facility. Hayward Tyler has supplied electric motors and pumps for the most demanding nuclear applications and environments for almost 60 years, with over 1000 units installed globally. Download the case study. Helipebs Controls is a market leader in the design, manufacture, service and application of the highest quality hydraulic and pneumatic cylinder technology since 1969. James Fisher Nuclear is an established supplier of specialist engineering, manufacturing and technical services for high-integrity applications. Connect. JJ Churchill is a precision sub-contract engineer with extensive aerospace experience, machining complex parts from stainless, titanium, Inconel and aluminium. Joseph Ash Galvanizing is a UK leader of steel finishing services including galvanising, spin galvanising, shot blasting and powder coating, providing the highest standards of quality and service. 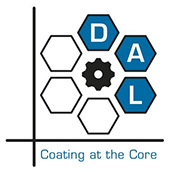 Larkshill Engineering manufactures, designs and assembles precision components, tooling and special purpose machines for a wide spectrum of engineering applications. Download the case study. Ledwood Mechanical Engineering is an independent engineering, fabrication and construction company serving a diverse industry base. Maher is a steel stockholder and machinist specialising in high-strength, high-performance alloys, supplying forms including bar, billet, plate and forgings. Manoir UK is a specialist welding and fabrication company to the nuclear, petrochem and oil & gas industries. Mon Maintenance Services is an electrical and mechanical engineering maintenance contracting, sub-contracting and supply company, based in Anglesey. NTR Ltd is a world leader in tooling reclamation and repair, with capabilities including special new tooling manufacture, live tooling repair and rebuild, and grinding of solid carbide and high speed steel tooling. Oldham Engineering provides fabrication, welding, machining, refurbishment and turnkey projects for nuclear decommissioning and new build. OMS provides specialist laser measurement and camera inspection services to the global energy industry, and has developed a range of innovative tools to improve integrity and meet precise project specifications. Penny Nuclear, part of the Penny Hydraulics Group, designs and manufactures lifting and mechanical handling solutions for all stages of the nuclear lifecycle, with the knowledge and experience to provide robust, cost-effective solutions within extremely competitive lead-times. Download the case study. Pipex PX provides complete solutions for lightweight, corrosion resistant and durable advanced composite FRP & thermoplastic products, pipework systems and structures. Polycast is an experienced specialist investment casting company, producing superior cast metal components and forgings for customers in the nuclear, medical, aerospace, automotive, marine and other sectors. Prism Power Group is a leading specialist in the design, manufacture, installation and maintenance of high-quality, resilient electrical switchgear, critical power systems and intelligent power monitoring solutions for critical environments. Rhyal Engineering is a mechanical engineering company specialisting in storage tanks, vessels, piping, steelwork, fabrication and installation services serving the oil, gas, aviation, nuclear and water industries. Download the case study. Connect. S&H Systems design, manufactures, installs and commissions quality electrical, pneumatic and instrumentation control panels and systems, including PLC and Scada software for the nuclear industry. South West Metal Finishing Ltd, part of the EIC Group, offers a bespoke service on most metal finishing processes including electro-plating, anodising, surface conversion coatings, non-destructive and other testing services, painting and additive layer surface enhancement. Spincraft ETG applies innovative metal forming technologies to manufacture cost-effective, single source solutions for customers in aviation, defence, energy, medical and space systems. Capabilities include metal forming, heat treating, machining and welding. Swagelok Manchester distributes and supports Swagelok fluid system components and systems to customers in the nuclear industry across the north west of England, the Midlands and north Wales. Teddington Engineered Solutions has over 80 years’ experience in designing and manufacturing bellows and expansion joints. Truturn Precision Engineering is a precision engineered turning, milling company supplying the oil, gas, aerospace, nuclear and defence industries for over 30 years. TTI Group specialises in surface engineering and heat treatment services and solutions for all major industries. WES designs and manufactures bespoke chemical dosing and fluid systems and provides through-life service, maintenance and technical support, to power and water utilities, defence and general industry. West Cumberland Engineering Ltd is an experienced fabrication company focusing on high-quality welded fabrications for nuclear and petrochemicals.